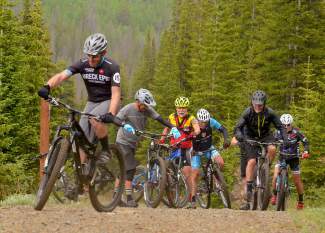 Riders turn off of Turk's Trail in French Gulch and onto Sallie Barber Road outside of Breckenridge, Colorado. SUMMIT COUNTY — Turk’s Trail is a relatively new out-and-back singletrack in the mountain bike hotbed of French Gulch. It’s the ultimate southside connector, taking riders on a tight, flowy and occasionally technical journey through pine forests and dredge-rock piles on the southern banks of the gulch. 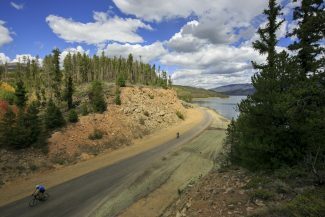 Like many trails in the area, Turk’s is short and sweet at just 1.7 miles, but it meets up with three additional trails along the way (B&B Trail, V3 and Sallie Barber Road), all of which then branch out to join nearly a dozen roller-coaster routes dotted by mining tails, dredge ponds and countless relics from Breckenridge’s heyday as a mining mecca. The times, they are a-changin’. 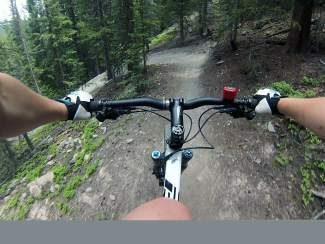 The French Gulch area is popular with mountain bikers, hikers and moto riders, although purpose-built trails like Turk’s Trail tend to attract only cyclists (and all singletrack in the area is non-motorized). Always look a few turns ahead on descents and watch out for dogs. 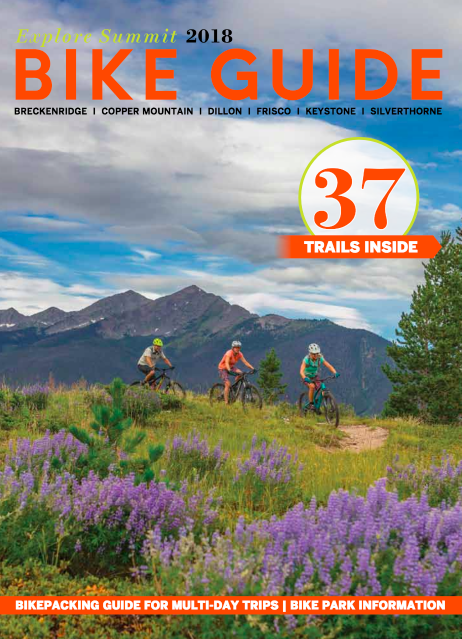 All trails in the area are well-marked and maintained throughout the summer, but be vigilant about loose, sandy dirt on descents and in sharp corners from July to the end of the season. Turk’s is typically ready to ride by early June. 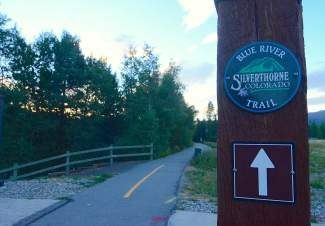 No overnight parking is allowed at any of the trailheads along French Gulch Road. The lower entrance to Turk’s Trail is found about 0.25-miles uphill from the B&B trailhead parking lot. This first portion of wide-open double-track is mellow, with multiple lines through a combination of rocks, roots and packed dirt on a slight uphill grade. 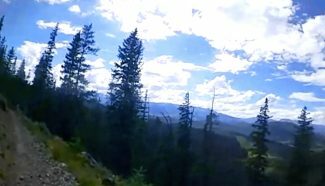 Once you reach Turk’s, the grade increases and the trail narrows to true singletrack. The climbs are quick but often littered with jagged rocks. Luckily, the dirt stays hard and rarely turns to dust, even after long stretches with no rain. This portion is heavily wooded and home to several tight corners lined with trees. Watch your handlebars. After about 1.3 miles, the trees open up and the trail begins to level out. It crosses several small log bridges in the final 0.4 miles before reaching the junction with upper B&B trailhead. From here, take a right to remain on Turk’s for a brief uphill loop climb before descending back to the lower entrance. Take a left to descend immediately on B&B Trail, which connects with Minnie Mine, X10U8 and French Gulch Road. You can also climb up this route to ride Turk’s as a downhill trail. Turk’s Trail is accessible from the B&B trailhead in French Gulch. From Frisco, take Highway 9 south to Breckenridge. Turn left onto County Road 450 (found just north of downtown Breckenridge) and bear right at the junction with Forest Hills Drive. Continue another 0.5 miles over several speed bumps to the stop sign. Take French Gulch Road, and continue through the neighborhood until the road turns to dirt. From there, drive about 1 mile to the B&B trailhead lot. Parking is on the right in the dredge-rock field. Take the B&B Trail east (uphill) for about 0.25 miles until you pass the V3 connector. Turk’s Trail is another 500 feet up the B&B route. Editor’s note: This article originally published in July 2015 and is updated annually for accuracy.